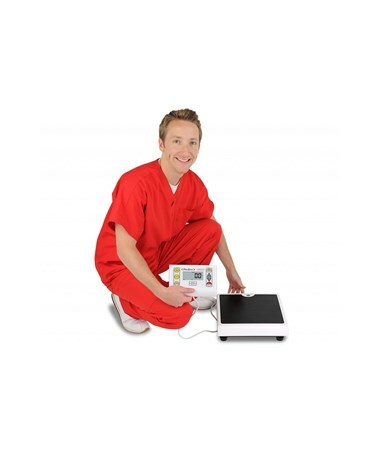 The PD100 ProDoc Low-Profile Digital Physician Scale is a heavy-duty scale that has a weight capacity of 480 lbs. 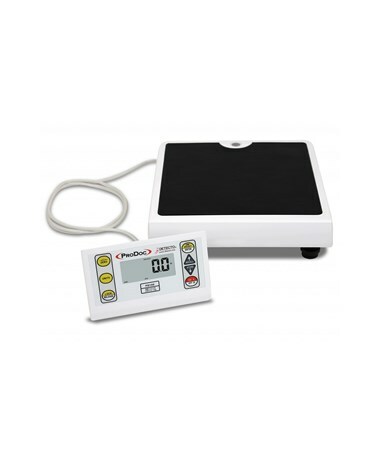 The PD200 series features a BMI indicator, which can be accessed easily with user-friendly scroll keys. 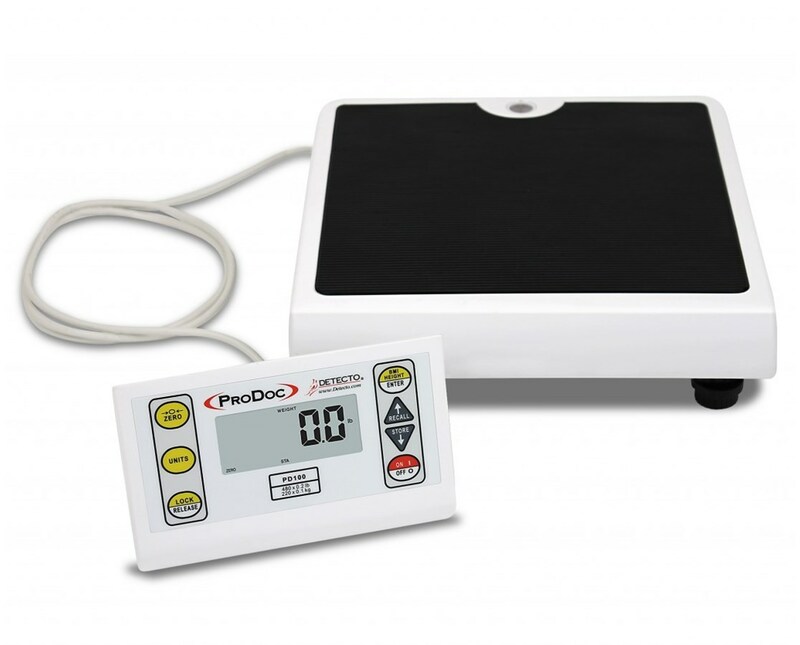 The PD100 ProDoc® Space-Saving Digital Physician Scale meets the medical-grade accuracy required in professional settings. 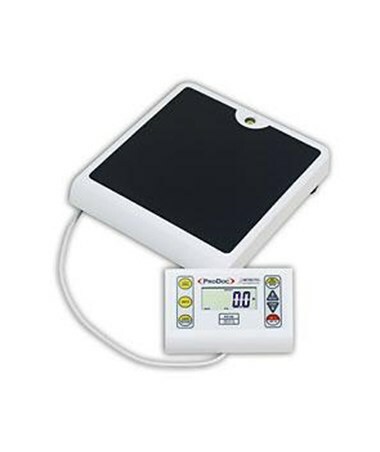 A remote LCD display, connected with an 87" long cable can be positioned on desks, countertops, or even mounted on a wall. The display provides easy-to-view 1” high (25 mm) readouts. 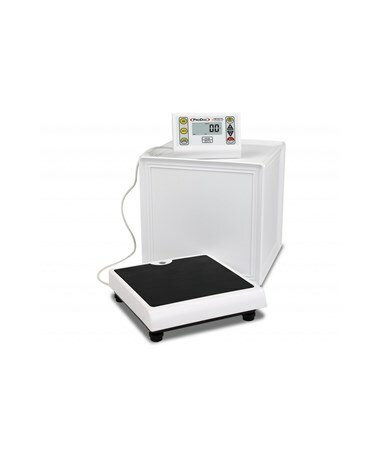 Units of measurment can be converted between standard and metric with a push of a button. 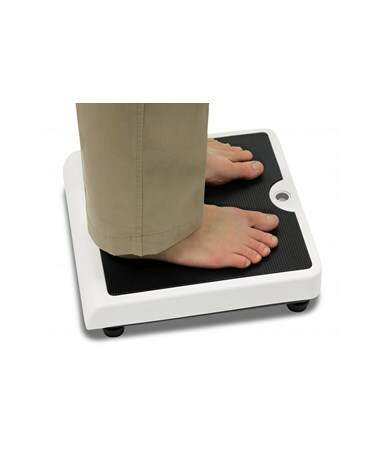 Other display features include Sleep Mode, Auto Shutoff, and Memory that can stored and recall up to 4 weights.